Hector Rail is growing, and is in need of new locomotives. 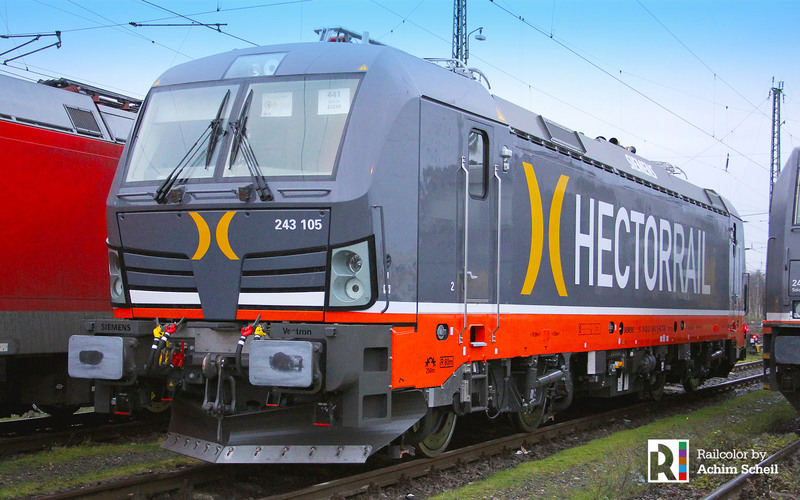 The operator originally from Sweden has 20 Vectron locomotives on order from Siemens. In December 2016, Siemens already delivered two locomotives of the designated 243 series, being formerly used by Siemens as test bed/certification machines. 193 923 and 924 became Hector Rail 243 001 and 002. Now we see the transport of the first two new locomotives of this order, 243 103 and 104. New transport contracts for Hector Rail, signed during the past twelve years are for example the transport of 2.5 million cubic meters of round wood Trätåg AB (contract taken over from Rush Rail after its bankruptcy), more container shuttles in cooperation with Samskip, more cars for ARS Altmann from the south of Germany (taken over from RheinCargo) and round wood for SCA Skog AB in Sweden. 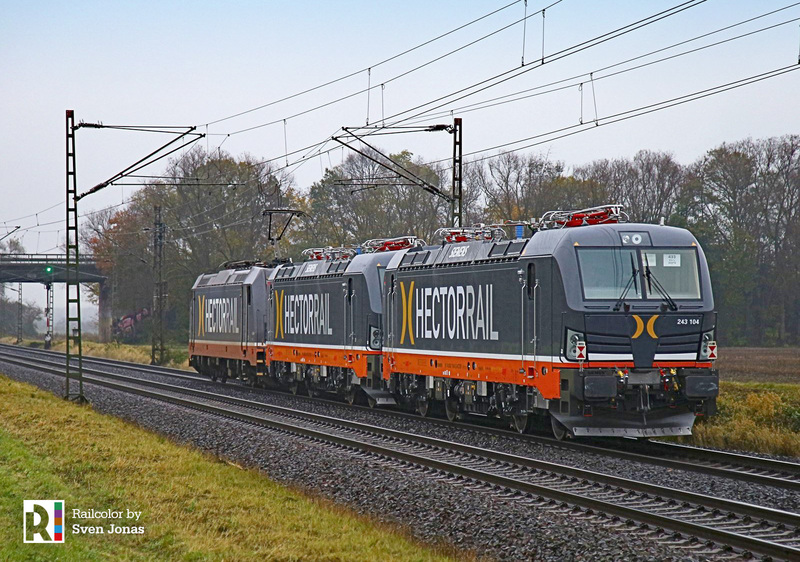 The Vectrons with shunting diesel feature are specifically needed for this latter contract, making it possible to shunt locally in and out of terminals without need for a catenary. 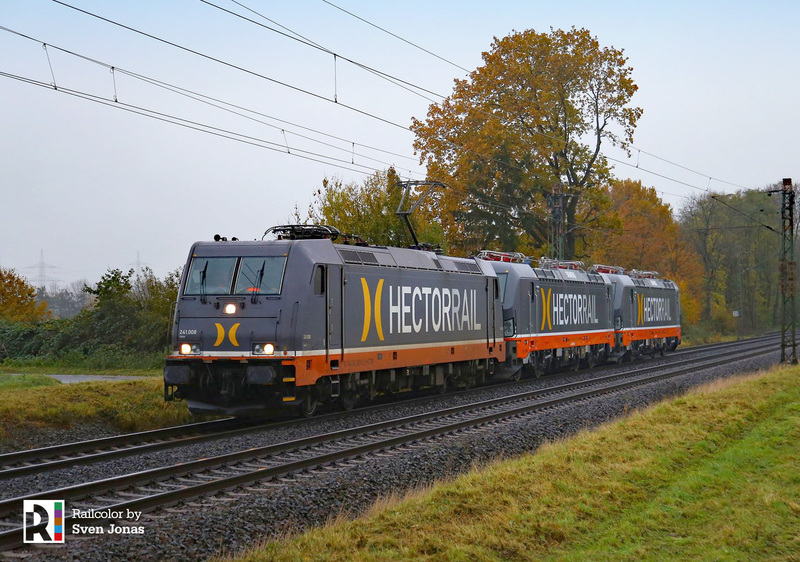 This item brings you pictures of 243 103 and 104, the first two electrics that are newly built by Siemens (Vectron no. 383 and 433). The use of a new sub series designation (243.1 in stead of 243.0) means the machines are different from the first two machines from 2016. The planning tells us that the 103/104 should be the first with ‘Diesel Power Module’, the name Siemens uses for a small diesel engine usable for shunting and last mile services. Looking closely at the pictures of today, we do see a fuel filler cap on the 243 103. An interesting development as there is no Siemens Vectron customer yet that has such locomotives in its fleet with working DPM feature. Vectrons for Norway and Sweden only? The newly built Vectrons are solely certified for Norway and Sweden. But this does not mean we will not see them in Germany again? No. 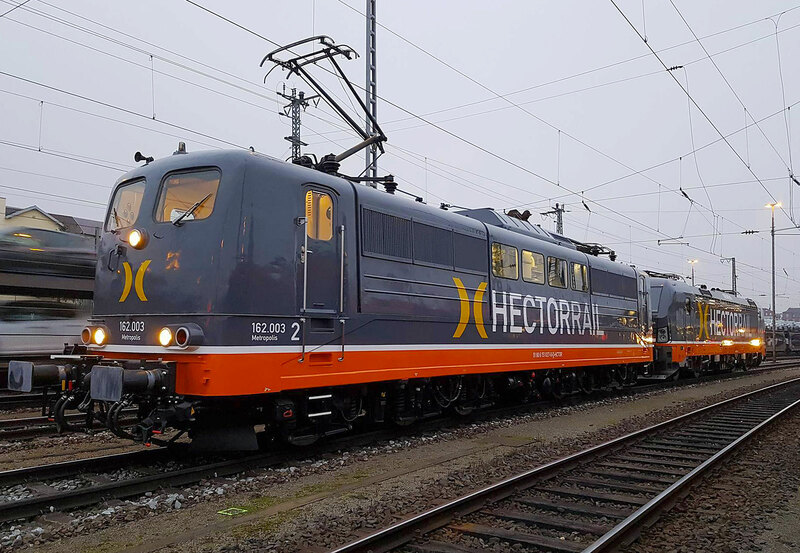 Hector Rail has recently signed a 5-year full service contract with mgw Service, now owned by Akiem, for most of its electric locomotive types, including the 243s/Vectrons. 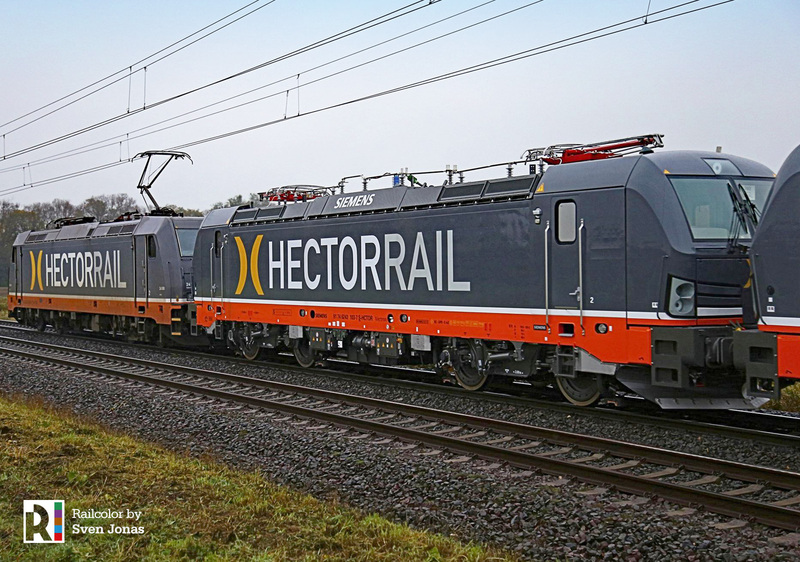 Also, when signing the original Vectron contract back in July 2016, Hector Rail did mention the possibility to develop a more international version of the 243 that could be operated in Sweden, Denmark and Germany. The future will learn.